Breaking News! I can make Video Calls with my DiGi number because I've 3G!!!!! w00t! @DiGi_Telco really lives up to its motto - "I Will Follow You". Kudos to the team who did a great job of following up to make my 3G dream comes true! Quoting them: "At DiGi, your needs are at the centre of everything we do." Check out my experience with DiGi's friendly, down-to-earth, useful, and super-fast customer service via Twitter. Compared to DiGi's previous tweeting style, I'd say this current team is way better and is really, really human as they make an effort to stay connected with customers. I'm indeed impressed. 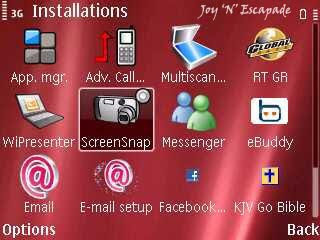 Here are screen caps to prove that I've gotten 3G on my Nokia E71!!! For more info, log on to DiGi Internet - Internet Done Right // Broadband : 3G : WiFi and get your facts right about DiGi's Internet services!